People who suffer with headaches clearly understand how debilitating the problem can be, but often they do not realize there is an underlying cause. The pain can be intense, but it still just a symptom of the real issues. Identifying the origin of head pain is not a simple process and alternate reasons can be overlooked. One of those overlooked conditions is often is TMJ, or Temporomandibular Joint Disorder. TMJ is a jaw disorder that involves all connecting tissue associated with the jaw joint. The lower jaw connects at the joint to the temporal bone at the base of skull. Those muscles and tissue are much stronger than is commonly understood, which can create stress in other adjoining areas when the joint is misaligned. 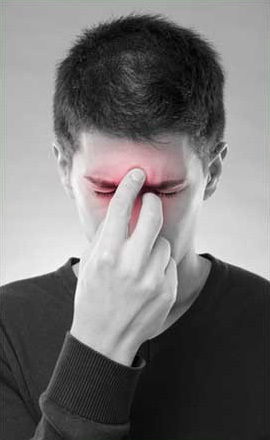 Many individuals who suffer from headaches or migraines have a TMJ disorder. These patients often do not consider the TMJ possibility and treat the symptom with over-the-counter medications as a short-term headache treatment. However, TMJ is a problem that needs TMJ treatment to stop the symptoms. It’s common to have have fleeting headaches, but chronic headaches can indicate a more serious medical issue. Many patients who have TMJ never realize it until diagnostic tests are performed. Seeking attention from a TMJ expert can make a difference in the total elimination of the problem. The sphenopalatine ganglion (SPG) is a bundle of nerves found deep within your face, behind the root of your nose. SPG treatment acts as a block for this nerve and works by using a numbing agent on a cotton applicator that is applied through your nostrils. 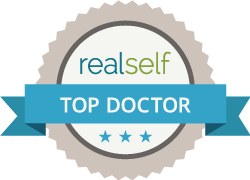 There are no needles involved in the application, and the treatment can be self-administered once you are taught the correct procedure. SPG treatment can help you stop your headache pain before it can manifest. I you would like to learn more about SPG treatment, please come in for a consultation.